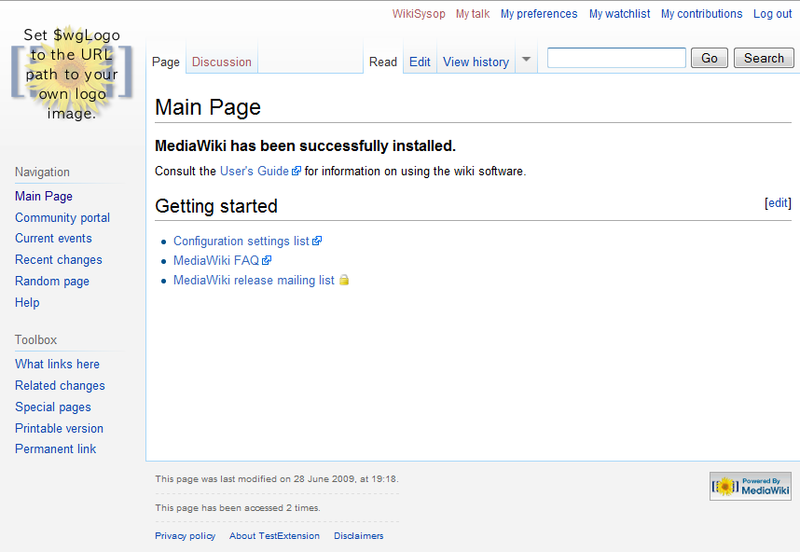 A skin defines a look and feel for the MediaWiki interface. Although the look and feel varies between skins, in general all skins have the same interface components. Each skin can show the same interface component differently, by showing it in different colours or positioning it differently on the page. To try out the available skins and change skin, click on the my preferences link while logged in, then click on the "Skin" tab. You can preview the available skins before choosing them, by clicking on the (Preview) link next to each skin. While you can choose whichever skin you like, bear in mind that some wikis will incorporate templates or layout elements that will not display as intended in some of these skins. Generally speaking, sticking with MonoBook (or whatever the wiki's default skin is) will ensure you see pages as intended. Users familiar with Cascading Style Sheets (CSS) can customize the current skin's file by creating a subpage of their userpage and naming it after the skin plus a .css postfix, "User:Yourname/monobook.css" for example. CSS placed in this sheet overrides the skin's CSS. This requires your site admin to have enabled this feature — if it is enabled, you will see advice text at the top of your custom CSS page about clearing your browser's cache.